I've been formally studying history since my sophomore year of college. Since then, I've come to appreciate historical interpretations and methods including material culture, economic and business history, the Atlantic World, and urban history. My major field is Early US History (with an emphasis on African American history), and my minor fields are Atlantic World History and Economic/Quantitative History. My dissertation is on the early merchants of Baltimore from 1790-1830. I'm currently teaching Introduction to American Studies and a Freshman Research Seminar, "Maryland Plantations: Then and Now." 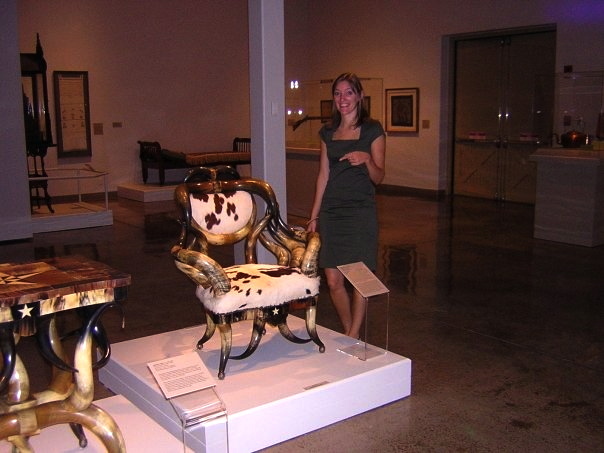 I have co-curated museum exhibits and currently serve as a docent at the Homewood Museum. I've worked a forge, sailed a Clipper, spun wool, and cast a pewter spoon. "Merchants of Early Baltimore," Audio driving tour on izi.TRAVEL, August 2016. "At the Movies: 'Birth of a Nation' after 100 Years." Origins, March 2015. "From Sea to Shining Sea," Review of Schulten, Mapping the Nation: History and Cartography in Nineteenth-Century America. Origins, August 2013. The content of this website is licensed under a Creative Commons Attribution 2.0 Generic License.